Looking for a great website designer in Singapore? Simon moved to Singapore in 2013 having spent the previous 20 years working in London in the marketing departments of a number of companies. Simons’ first taste of web design started over 15 years ago and what began as a hobby and something he loved to tinker around with is now his passion and profession. Simon’s broad experience enables him to work easily with individuals or businesses so whether you have a one man band online store or a large company Simon has the knowledge and skills to help. The highlight of his digital work won him the UK’s best website award for a large services company in 2010. Simon has also had brief spells of working in Lebanon and Africa and a short career as a golf professional in Europe. Not content with just getting others to develop digital campaigns for him he is an active developer himself. In his spare time Simon loves to teach tennis and golf. Originally from St Albans in England Stephen Ware moved to Singapore in 2009. Steve has been a software developer since 1998 and designing, building and deploying websites since 2006. Steve is the Master of the Mac, the Professor of Photoshop, the Wizard of WordPress and not bad at making a Cappuccino. 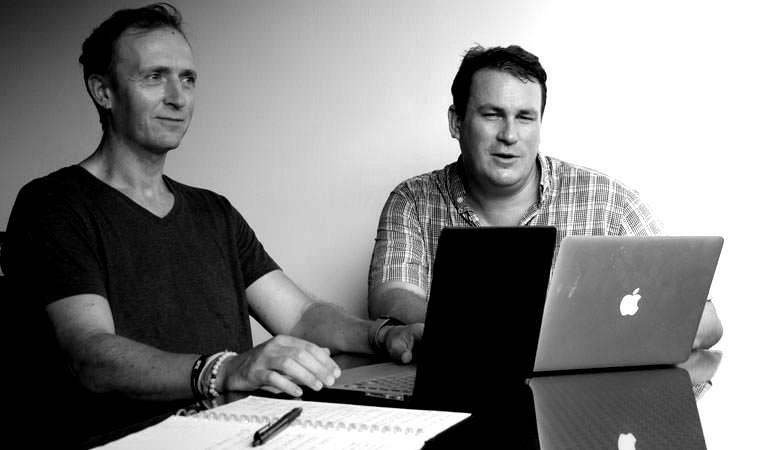 The combined skills of Simon and Steve make an ideal team that offer creative design along with the technical skills and know how to provide customers with the latest and best in web development. If you are starting out in web development we are able to share our knowledge through courses we run. If you would like to find out more about us and what we offer email or give us a call. If you have an idea lets get together for a coffee. We are a web design agency that offers all the website services that SME’s need to succeed. We work closely with our customers to deliver affordable websites that achieve the required results. We make sure that the websites we build more than pay for themselves and we area able to prove this through setting and tracking a variety of goals in Google analytics. Our goal is to provide all the website services to individuals and SME’s in Singapore under one roof. So we can take care of all the technical stuff like updating your website, moving it to a faster server and making it secure from cyber crime. We can also help with marketing the site. Should you wish to learn how to update and develop your own site we also offer training courses. Working with lots of different Expats and being Expats ourselves we have an understanding of your needs when living abroad. With over 20 years experience working with and for SME’s we can pass on our valuable experience to give your website the best chance of success. After using 3 SEO companies in 2 years I was desperate for someone to get my site back to where I wanted it. Expat Web Solutions have done this and some more. My site has been transformed as is now back on top of the pile and the work is flowing in.like never before! HOW MUCH TO BUILD MY WEBSITE ? Easily estimate the cost of a website or an ecommerce store using this cost estimation tool. Standard website or eCommerce ? Have you a pet chicken ?